NOTTINGHAM, UK – Highly regarded industry veteran Chris Hale has joined Chauvet as its new UK Product Specialist. 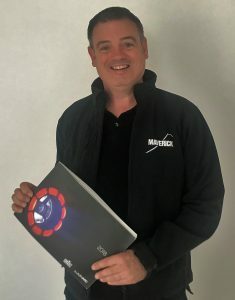 Prior to joining Chauvet, Chris was the Senior Product Specialist for Martin Professional UK. During his 23 years with that company and its predecessors, Chris worked with lighting products utilized in the touring, theatre, broadcast and film markets.